Luna Lullaby blankets: This blanket is not only light weight but versatile as well and can be used for other needs outside of swaddling such as: as a crib blanket or to stretch over the stroller to block sunlight. This blanket is almost lightweight and big enough to allow for a snug swaddle that won’t make the baby too warm. Kiddopotamus SwaddleMe: This blanket tends to be great for those babies that just love to move around. They Velcro so that the baby is secure in the blanket to protect them and also keep them warm. These come in cotton, organic, non-organic and fleece. There is also a car seat version, which works well for those long trips. For these, it’s also a good idea to wrap the baby when they are just in their diaper as they tend to get pretty warm and you want to make sure there is plenty of air flow through the blanket. 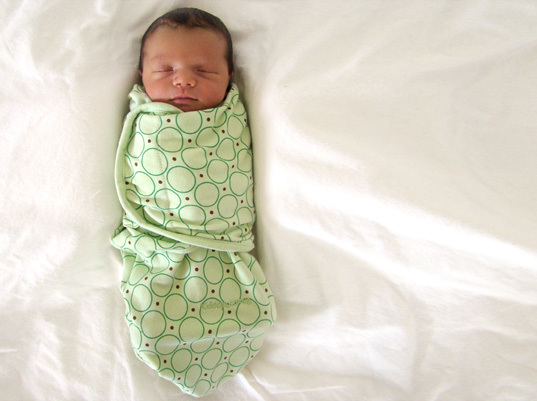 Snug and Tug: Sometimes, it’s necessary that babies are swaddled so that they can sleep – the Snug and Tug blanket comes in different sizes and is guaranteed to fit the bigger baby. Most swaddle blankets stop being usable after a couple of weeks of growth. This blanket is wiggle-free with Velcro to secure it.